Stolen Motorcycle Returned After 42 Years | Hupy and Abraham, S.C.
1954 was a milestone year for Harley-Davidson. 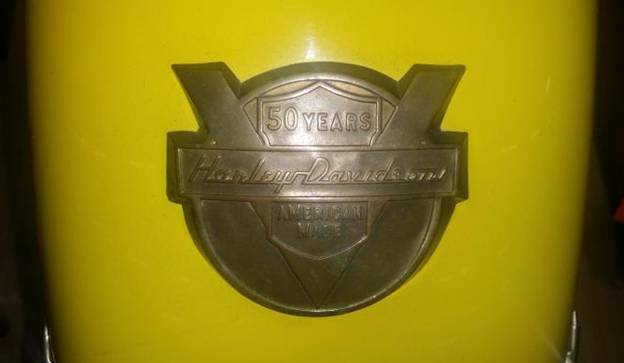 It was the company's 50th Anniversary, and with Indian closing its doors in 1953, Harley was the sole surviving American manufacturer of motorcycles in 1954. A police officer in North Carolina bought one of these beautiful machines, a 1954 Harley-Davidson Hydra Glide, and it was his pride and joy. The Hydra Glide was first introduced in 1949 and was Harley's first hydraulic suspension motorcycle. One day, back in 1972, the officer parked his beloved motorcycle in his back yard and never saw it again. Someone had stolen it. 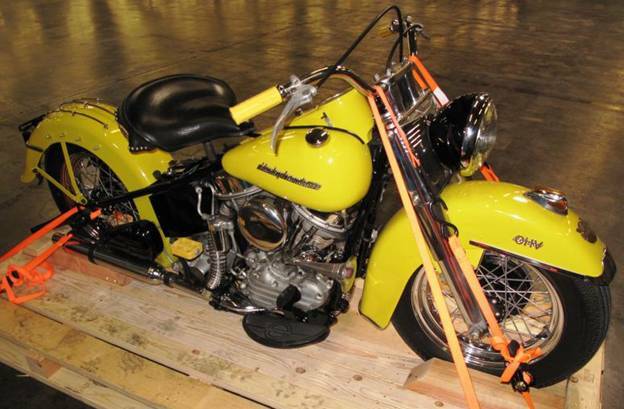 Fast forward to September 9, 2014: during regular inspection at the ship yards at Long Beach, CA, the U.S. Customs and Border Protection agency (CBP) noticed a vintage Harley-Davidson destined to be shipped to Australia. The agency seized the motorcycle and turned the investigation of the bike over to the California Highway Patrol and the National INsurance Crime Bureau. Somehow, it was determined that this was the motorcycle taken from the back yard in North Carolina 42 years ago. The police officer died four years ago, but his son Edgar Johnson, Jr. has taken possession of the bike and plans to display it at various motorcycle shows and conventions. Although authorities were able to trace the last four owners of the bike (the oldest has died) they were unable to learn if any of them knew the bike was stolen. It's surprising the bike is still as it was when stolen, although the paint color is different. It's not known if the engine number (VIN) was altered or how the authorities came to suspect the bike as being stolen. The engine should have had a number stamped in similar to this: 54FL1234. The first two numbers indicate the year, followed by the letters signifying the model. In this case, FL model which is a 74cu.inch with overhead valves. The last four or sometimes five digits are the production numbers. This was an amazing piece of police work, or an amazing stroke of good luck. Either way, the bike is back home where it belongs. Just two weeks after this bike was discovered in Long Beach, several motorcycles, a truck and trailer, and spare motors and boxes of bike parts and tools were stolen in Tacoma, WA. That's where the 2014 Cannonball Endurance Run ended after a nearly 4,000 mile cross-country ride with 1936 and older model year motorcycles. Like the Hydra Glide theft, it appears the vintage bikes and parts were heading overseas, this time to Europe. Nobody has been arrested in that theft, but four vintage bikes, the truck and trailer have been recovered. Still missing in the Cannonball theft are are two motors: 1928 JD, VIN 28JD1831, and a J model, VIN 19A12738, and the spare parts and tools. Let's hope these precious motors and parts are located also and the guilty party apprehended.